Klin, Moscow region, Russia - 31 August 2018. The State Memorial Musical Museum of P.I. Tchaikovsky in Klin. 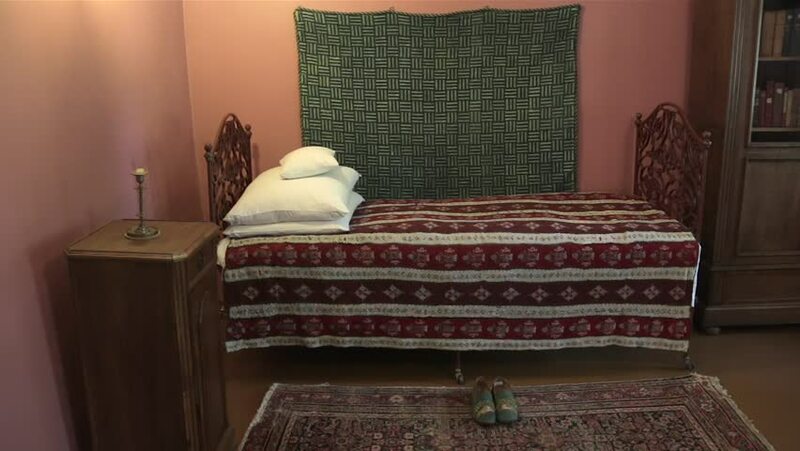 Tchaikovsky's bed in his house bedroom. hd00:09Klin, Moscow region, Russia - 31 August 2018. The State Memorial Musical Museum of P.I. Tchaikovsky in Klin. Tchaikovsky's bed in his house bedroom. hd00:49Beautiful young woman at her luxurious home (lying on sofa, reading, then closing the book and thinking about the story), panorama.